Highly insulated. Covered with Stainless Steel (inside and out). The interior also has a partial cover of a stone construction. Burner is placed in the back. Includes an inlet machine. 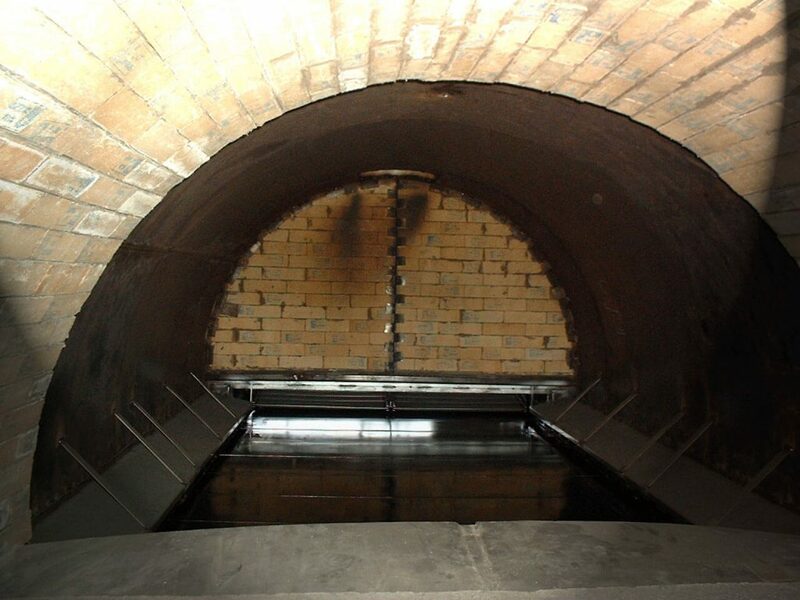 A Diesel Powered Tunnel Oven, specifically designed for baking all kinds of Breads, including Pita breads, Arabic Breads, Tortillas & many more. The oven is manufactured according to the Client’s specific needs and is capable of producing 1000 and up to 18,000 Pita Breads per hour.